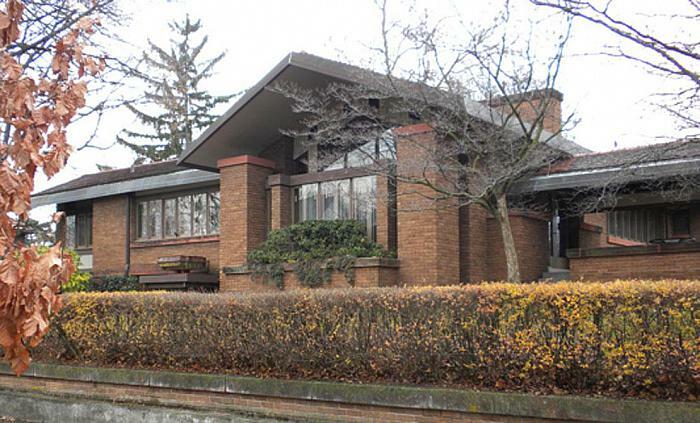 Maintained as a museum available to the public by Steelcase, Inc., this 1909 house was designed by the already renowned architect, Frank Lloyd Wright, who worked in Chicago, Illinois. The clients, Meyer and Sophie May, were part of the reformed Temple Emmanuel community. Meyer’s father, Abraham, ran “The Giant” clothing store with his brother, Moses, and Joseph Houseman. It later became A. May & Sons, when Meyer and Bernard joined the business. Meyer’s wife, Sophie May, was the daughter of David and Hattie Amberg, and a Grand-daughter of Julius Houseman. The Ambergs built a house contracted to Wright but designed by a female associate of Wright’s, Marion Mahony. It stands just up Logan Street at the corner of College Avenue (505 College SE). Abraham’s house was up the street, at 259 Madison, and Bernard lived at 529 Madison until he moved to New York. 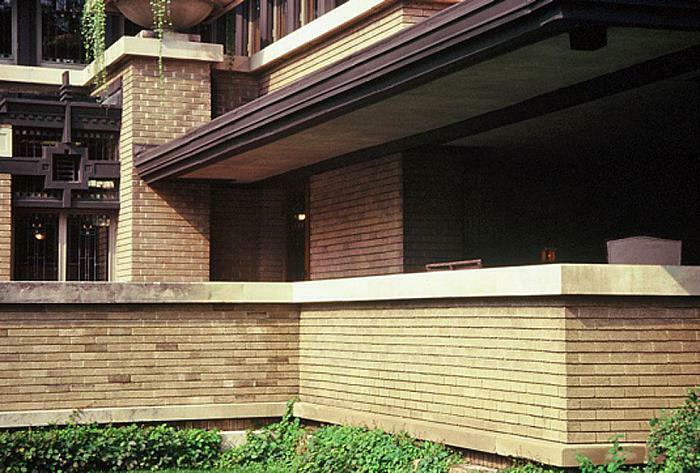 Frank Lloyd Wright’s search for an architectural expression that reflected the individuality of the American democratic lifestyle, using American materials, ingenuity and landscapes, led him to develop his principles of organic architecture. Each part of the building and its decorative arts are designed to be a part of the whole. 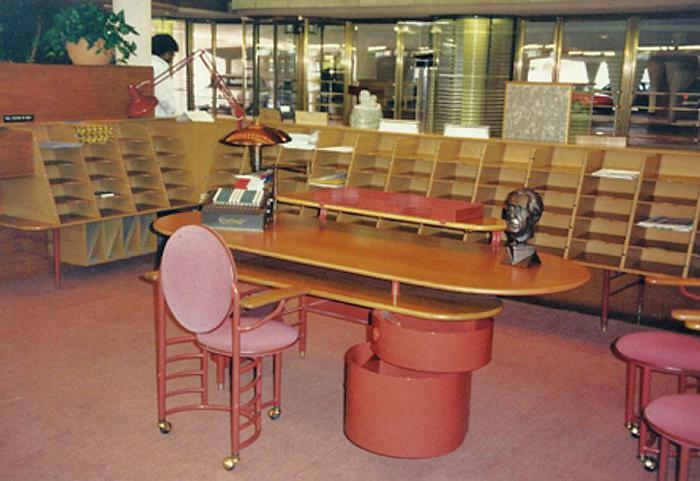 A relationship between Steelcase, Inc. and Frank Lloyd Wright began in the mid-1930s when Steelcase (then known as Metal Office Furniture) was asked to manufacture furniture specifically designed by the architect for the Johnson Wax Administration Building in Racine, Wisconsin. 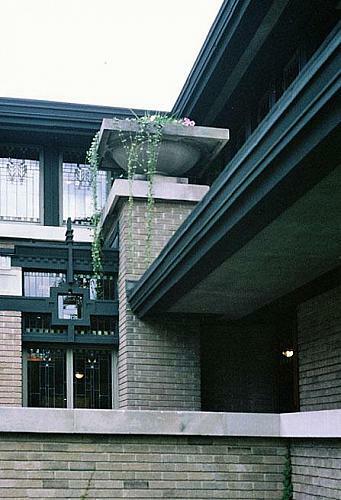 The Company’s respect for Wright’s genius was shown by its support of the restoration of Frank Lloyd Wright’s Oak Park Home and Studio. 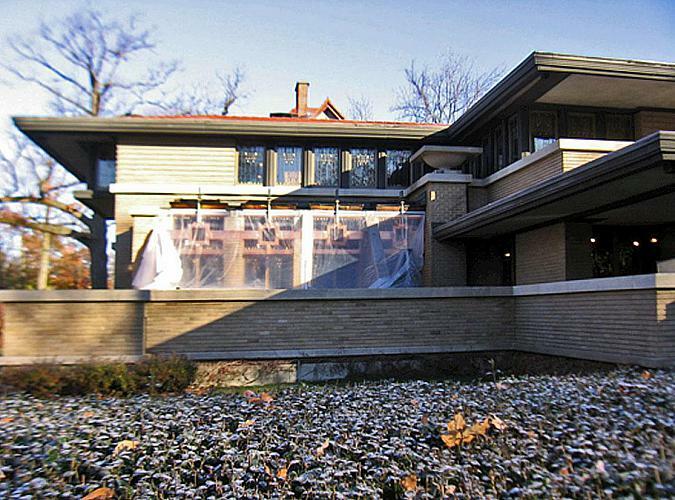 Steelcase purchased the May house in 1985, committing to its restoration and preservation for the public good. Before restoration could begin, the house had to be thoroughly researched. 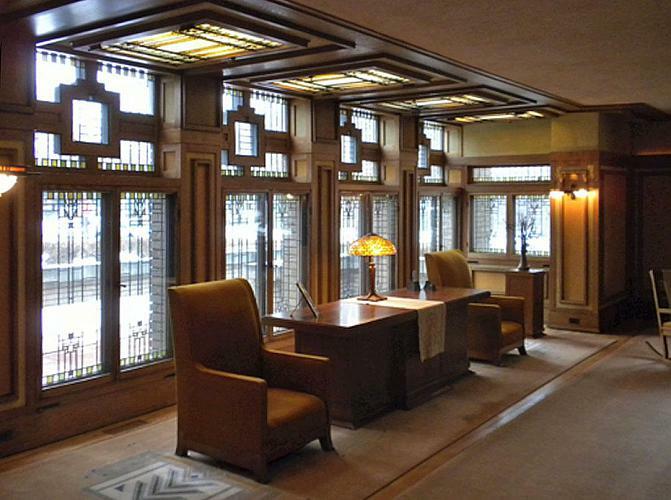 Personal interviews, study of historic photos, drawings and documents, publications about Wright, and physical evidence from the buildings and its furnishings were all valuable. The decision was made to restore the house to its original appearance during the 1909-20 period. This involved opening up the main covered veranda, which had been enclosed, and the dismantling of the 1922 addition, which was not designed by Wright or his office. 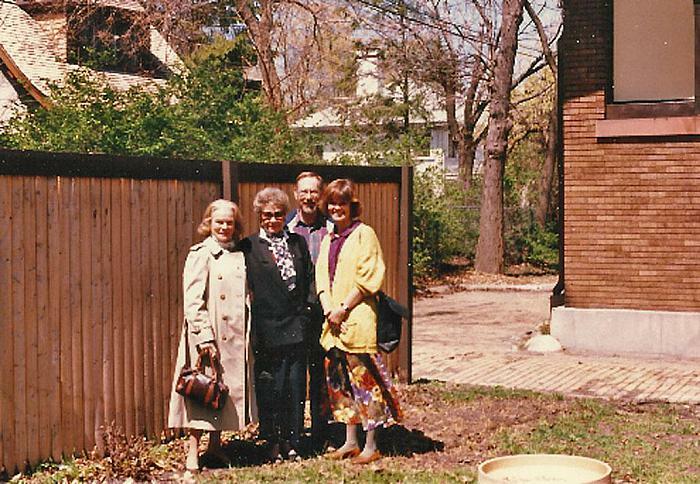 The house was opened for corporate guests and the public in 1987. The children of Meyer and Sophie May were present: Harriet May Stern and Richard May. The picture shows Harriet May on left, and Carla Lind (director of the restoration) on right. In 2007, 20 years after the renovated house was opened to the public, major repairs were again undertaken, to assure that the experience of the house would continue at the same high level. The picture shows rebuilt living room windows with new copper sheathing before it was treated to match the rest of the copper trim.